Copper - Ace Steel & Recycling Inc.
Copper is a reddish color if it is in good condition, and if it is a bit worn it can have a darker brown color with some green rusted areas. We want your copper and brass! For nearly five thousand years, copper was the only metal known to man. Today, it's one of the most used and re-used of all metals, and it's been recycled for thousands of years! At the conclusion of wars in the Middle Ages, bronze cannons were melted down to make more useful peacetime items. Conversely, at the onset of wars, church bells and other bronze and copper items were used to build more cannons. More recently, during WW2, many of the weapons used by our American military were made from recycled copper household goods, such as pots and pans, that were collected and recycled to support the war effort. Recycled copper is worth approximately ninety percent of the value of virgin copper, and the recycling process saves over fifteen percent in energy costs over the costs of mining new copper. Recycling copper is not only good for the environment, but also helps keep the cost down, and preserves the world's finite supply. Approximately fifty percent of the copper currently produced in the United States is recycled. 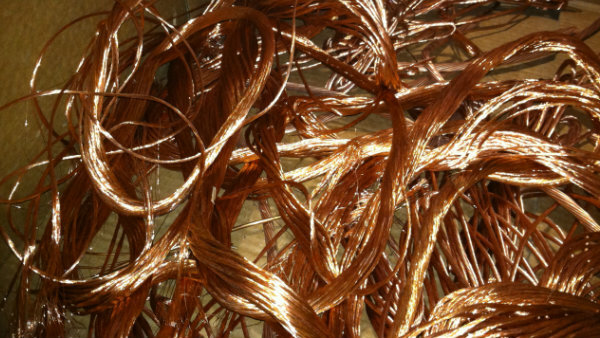 There's a wide range of recyclable copper and brass materials, and the price varies among those categories. Our experienced staff will discuss those categories with you, either at our dock, or at (605) 342-8649. Here at Ace, we'll take your copper and brass at our loading dock, will quickly identify, sort, and weigh it, after which we'll print out a ticket for you to redeem at our front office. It's a quick, simple process that will make you wonder why you haven't been recycling all along! 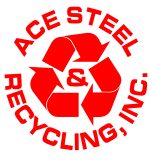 Help keep western South Dakota clean and pristine by recycling with Ace Steel & Recycling!